What is the ROI of blogging, vlogging and podcastings? I think everyone wonders at some point, “how do they make money doing that?” and that’s exactly what we discuss this week is how bloggers, vloggers and podcasters make money. 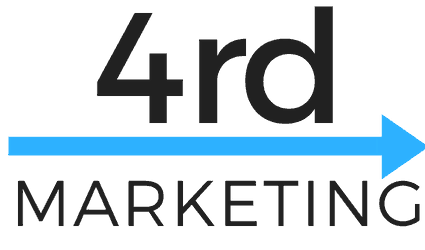 You might not immediately see the connection to your business but as you will see in this episode of 4rd marketing, that these mediums almost require a small business to make them profitable. Most people who are looking at this will likely go straight to “advertising” and yet if you think youtube or adsense is how these creators are making money you’d be mistaken. MYTH BUSTED! – Affiliate Commissions was reported as the lowest opportunity to make money by these 3 groups! Key Takeaway – A podcast, vlog or blog is a great way to promote your own product or services. How Often Do Vloggers, Bloggers and Podcasters Create Content? Bloggers – 9 Times A Month! Key Stat: Of the 4,335 – 100% reported doing at least 2 of the above. So multiple mediums were used by ALL. Surprise Stat! – 46% of Podcasters, Bloggers and Vloggers were aged 40 to 60!!! Why Talk about this at all? If you are a small business owner and have a passion for your product or service, there are many options to get your message out. I challenge you to start a blog, vlog or podcast talking about it. Comment below and I’d be happy to try and help! Good info Josh! Hmmmm, i need to add this to my list. Erika, thanks for stopping by!